The gods are gone. The people have forgotten them. But sixteen-year-old Rachel Patel can't forget - the gods control her life, or more specifically, her love life. Rachel must learn to do what no Hedoness has done before - to resist her gift - or she'll turn the person she's grown to love into a shadow of himself ... for ever. I think I've always had a thing for mythology. Some of my early scribbles as a wanna-be writer were influenced by the Gods, just like Arrowheart. So when I had the chance to be a part of the tour, (and I mean, c'mon, one look at the cover and the blurb and I was HOOKED) I jumped at the chance. But the story collides mythology with love and being descendant from a God, and that just had me. I couldn't stop myself from reading - even if it was two a.m. in the morning! Rachel is such a likeable character from the get-go. I love that despite wielding this immense power to make any boy fall head over heels in love with her, she just wants to be your average girl. To fall in love with ease. To not feel like she's meant for something huge and to live a perfectly normal life. But being a Hedoness, she kinda can't. Her and Marissa, another Hedoness, have this power that centers around the book's first mystery. Boys are going missing and then turning up again, not knowing what happened the entire time. But the girls know all too well what's happening. Rachel doesn't want to make anyone love her - not forcibly, anyway - and when Benjamin, a missing boy, comes into the picture and his absence links back to the Hedonesses, it's a fight or flight reaction. Forced to try and ignore her feelings for him and focus on the growing suspicion around her, she can't help but fall deeper in love with the boy she can never have love her. But then, the Police get involved and she's thrown into a dilemma. 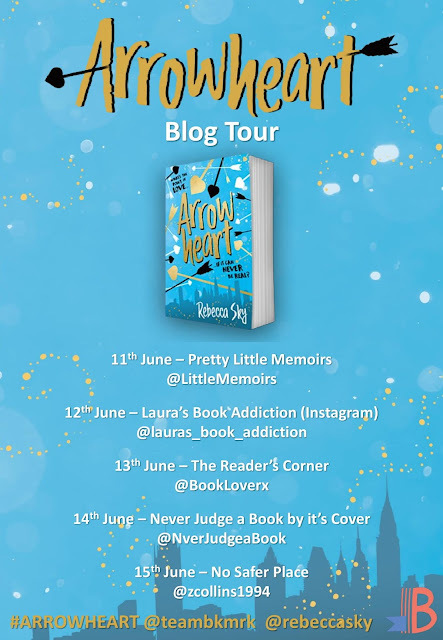 She has to leave, and when Benjamin gives up what he loves to go on the run with her and not get arrested, they're not only being hunted by the Police, but by something much more sinister. I just...this book BROKE ME and HEALED ME again. I haven't read a book this fast-paced and funny and interesting in such a long time! Not only was the Greek Mythology history and factual spin on YA unique and incredible with the world-building, but the characters were just so normal. So believable. Even though most were descendant from Gods or unlike me at all, I connected with Rachel so much on so many levels (even though we couldn't be lightyears away from each other). 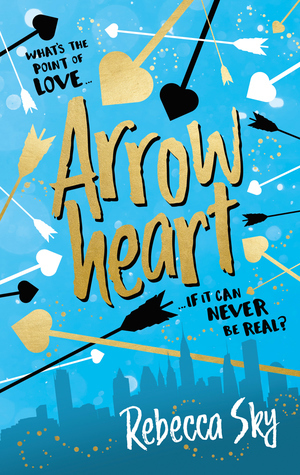 Overall, Arrowheart has struck it's golden arrow right into my heart. I am blown away by this epic-YA that has woven it's way into my favourites. Getting to the ending and that cliffhanger was just so nail-biting! I can't wait for the next book in the series. I NEED IT! Rebecca (name twin! ), this is clearly one of my favourite books I've read in such a long time. Five stars isn't enough! So she did what every wanderer does when standing still—began writing. 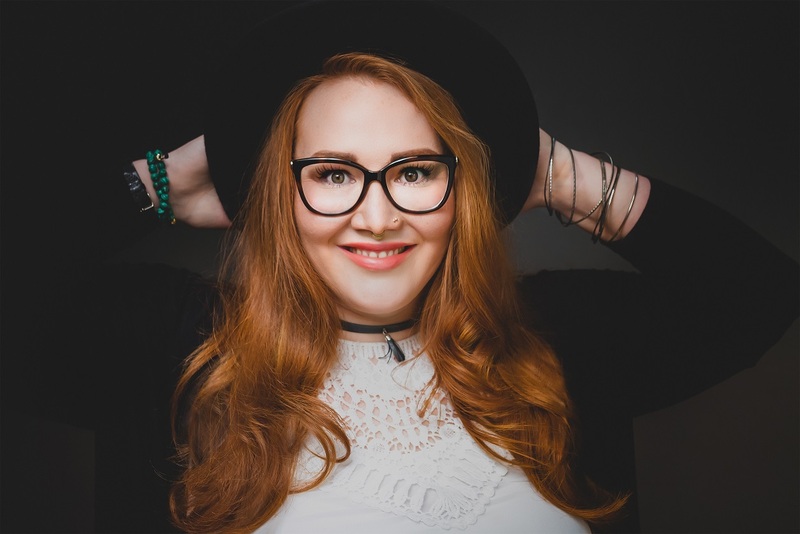 Her work has since garnered over 20 million reads on Wattpad, and she’s had the opportunity to partner with some really great brands. She was featured in The New York Times and The Boston Globe, (check out those articleshere). Her debut Arrowheart, book one in THE LOVE CURSE series will be published by Hodder Children a division of Hachette Book Group. Look for that in stores June 14th, 2018! I grew up in a very religious home, and because of that I spent the majority of my childhood weekends in some form of Church activity like Sunday School. I was never very good at sitting still and was bored most of the time, which meant I’d find ways to self-entertain, ways that resulted in my being sent to time-out more often than I’d like to admit. I made a game of it though, throwing out one-liners that made the entire class burst into giggles and the teachers mumble prayers of serenity under breath. Eventually they realized that time-out wasn’t helping any of us, (I mean, if I couldn’t sit still on the pew, why would the corner change things?). We came to the compromise that I could read my bible during lectures, which really meant I’d slip a comic book behind the cover and read that instead. I thought I’d found the key to surviving Sunday School until they caught me and told me that I was only allowed to read books from the church library. I begrudgingly searched through and pulled out a Greek/English bible thinking the writing on the spine looked kinda magical. That was my first introduction to the Greek language and I was fascinated. I tried to teach myself by memorizing the Greek version of familiar passages. I couldn’t get enough and eventually took every book about Greece out of my local library, one of which was a book on mythology. I spent my days reading about the Gods and their wild adventures, and thought it was unfair that the Greeks got the cool Gods and my family’s God was boring (please, don’t tell my Nana I said that). It is taught that humans were born with 2 heads, 4 arms and 4 legs, and only one soul, but Zeus feared our power and cut us apart. Now we spend our lives searching for the other half of our soul. I’d often imagine the Greek Gods in my Sunday School stories – Samson the strong became Heracles the son of Zeus, etc.. So when I stumbled upon the bible verse Genesis 6:4, “when the sons of God went to the daughters of humans and had children by them,” it wasn’t far-fetched for me to imagine that the sons of gods were the Gods of Olympus and that the offspring they had with human women where the Greek legends like Achilles and Hedone. The more my mind wandered the more The Love Curse series formed. And everyone knows, or should know, that you can’t write a story based on Greek Mythology and not have it centred on romance. I’d argue that mythology reflects the spirit of its people, and there is no mythology more romantic than Greek. 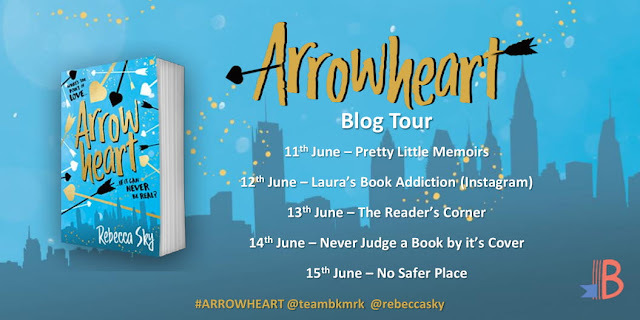 Have you heard about Arrowheart? Let me know in the comments or on Twitter @LittleMemoirs with the tag #ARROWHEART!